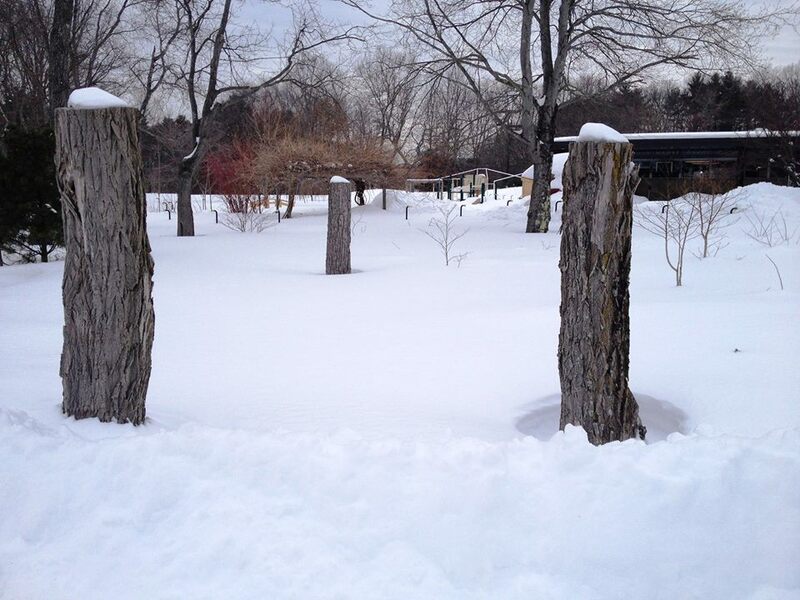 Winter is a time for all of nature to rest, and the Playscape is no exception. Currently buried under several feet of snow, the Playscape is quietly preparing for a busy spring and summer! The snow on the dry streambed is up to the bridge! 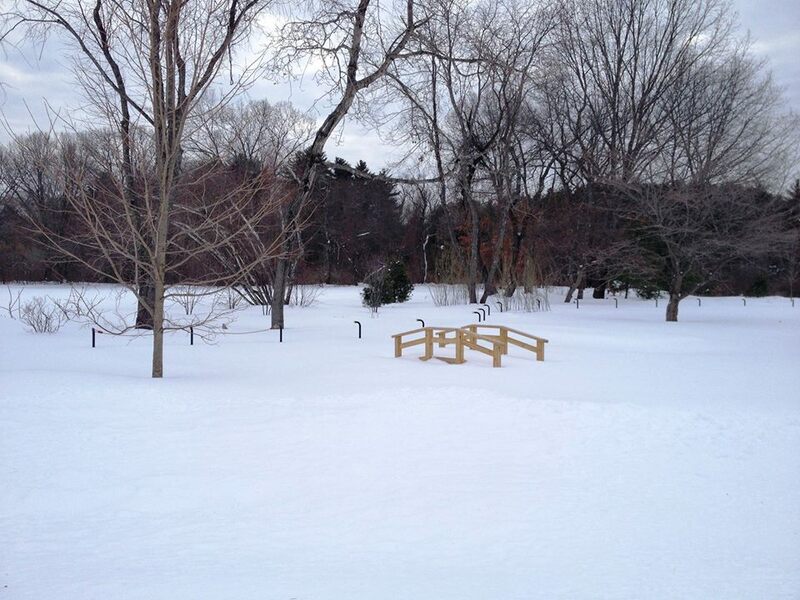 The Playscape entrance is visible, but the path is covered by snow!